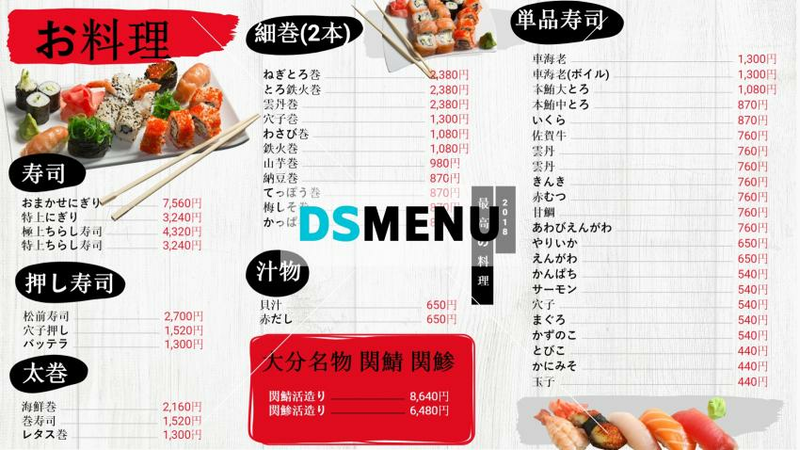 This Sushi menu board presents an embodiment in elegance. The white color background compliments perfectly with black and red lettering giving the menu board a rare dazzle. The graphics too contribute to its charm. While adapting to digital signage , the restaurateur will obtain the benefits of digital software and will be able to update and promote select menu items at real-times.